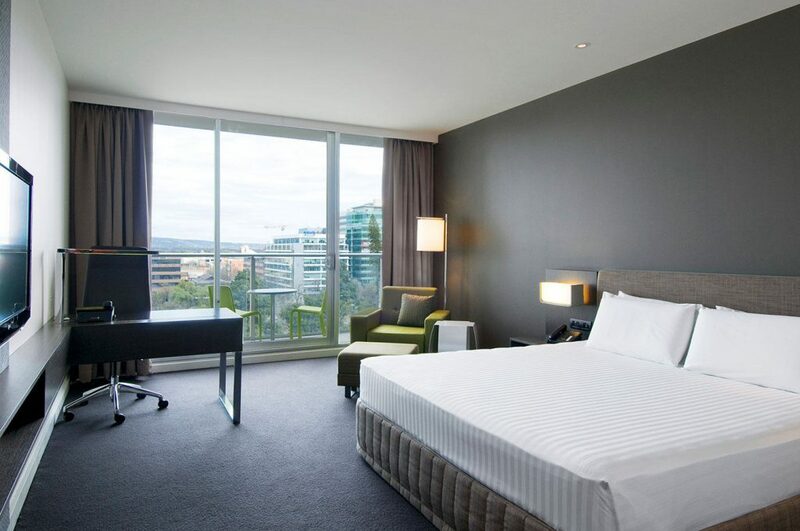 Pullman Adelaide is located on Hindmarsh Square at the north-eastern sector of the central business district. Overlooking Hindmarsh Square, the hotel enjoys leafy, peaceful surrounds whilst being within convenient walking distance to the business and restaurant precinct. Nearby attractions include the Botanic Gardens, National Wine Centre, Rundle Mall shopping, Adelaide zoo, cafes and restaurants. Also within walking distance are the Adelaide Convention Centre, Skycity Casino and the tram to Glenelg beach. Opened in April 2004, the Majestic Roof Garden Hotel is an inner city hotel that oozes personality and charm. Sophisticated and elegant, the interiors of this 120 room hotel are an envied mix of cosmopolitan class and a flow-through of space and light. Perfectly positioned in the citys vibrant East End beside unique designer boutiques, specialty shops, fine alfresco dining and Sunday markets, the Majestic Roof Garden Hotel allows you to experience Adelaide with minimum effort and maximum style. Culshaws Grill focuses on the freshest local South Australian produce with flavours that invite you to enjoy. Above it all the hotel’s roof garden, the only one of its type in Adelaide, has spectacular views to the Adelaide Hills and over the CBD.